As if estate planning didn’t already seem complicated enough, blended families now make up a growing portion of our demographic and pose many additional considerations when trying to plan for the transition of their estate. When I started my practice as a wealth planning attorney, I would say about two out of ten families that I met with for estate planning or administration purposes were what we call “blended families” – families where at least one person brought children from a prior marriage. If I had to guess what that number is today, approximately four years later, I would guess that it’s now up to about four out of ten. And inevitably, we meet with the family, and they proclaim to be (and maybe are) a smaller version of the Brady Bunch. They all love each other, treat each other as if they are true blood relatives and swear up and down that nothing could drive them apart. Nothing. What a person can never plan for, however, is what the emotional loss of one of those parents will do to the family as a whole and as individuals. 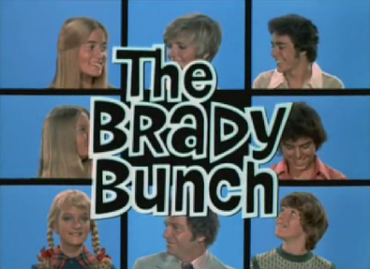 No one can predict the way the emotions will make them feel, what that will do to their decision making that used to be oh so rational, and how the Brady Bunch will be able to continue to go on without Mike or Carol Brady. BBunch Option 1: Everything to the Surviving Spouse – Many families choose this option because they are confident that the surviving spouse will take care of all the children equally. But what if not all of the children you leave are also children of your now widowed spouse? Are you confident that she will treat both her own children and your children equally? The surviving spouse has no legal obligation to support or leave an inheritance to your kids. What if your surviving spouse remarries and leaves everything to her new spouse? With proper planning through a Qualified Terminable Interest Property (QTIP) Marital Trust, these concerns can all be accounted for and alleviated. BBunch Option 2: Everything to the kids – This option is less popular, but it is an option nonetheless. If you can be sure that your surviving spouse will have enough assets to continue to live comfortably, then this may alleviate many of the concerns above. It will not guarantee, however, that your spouse does not choose to exercise her elective share rights. Many states now offer a spouse elective share rights to ensure that a spouse is not entirely disinherited. The elective share amount is calculated by statute and paid to the surviving spouse out of the assets left to your kids. If you still prefer this option, however, you can deal with this right in a pre- or post nuptial agreement. Bbunch Option 3: Split everything between your old family and your new family – this option allows you to think of the needs of your children from a prior marriage and the needs of your current spouse and children with him or her, and allocate assets based upon need. Now this may mean that everyone is not treated equally which is a goal of many parents, but it still may be the safest option to ensure everyone is provided for. Under this option you could even pick and choose assets to go to your prior marriage children versus your current marriage and family. Again, you may not be able to guarantee equal treatment of everyone under this option, but you can decide who gets what, when and how, despite the fact that you’re a splendid blended family. Regardless of how you decide to plan for your blended family though, do yourself and your family members a favor and plan! Nothing drives families apart like no planning and the mess it leaves behind! *Original image sourced from Wikipedia.